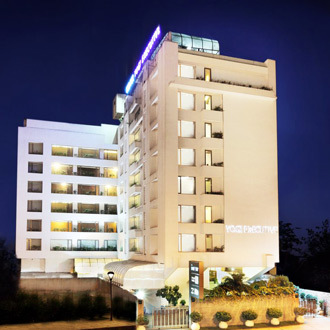 Contemporary in design, this 4 Star hotel is conveniently located opposite Sanpada Railway Station. There are chic rooms that include Premium and Designer rooms to choose from. Guests can relish on a scrumptious spread at the Brown Beans, a coffee shop and can also enjoy a multi-cuisine fare in the Flavours, a specialty restaurant. There is also a contemporary bar where guests can chill-out in the evenings. Corporate travelers are also facilitated with a business center.